Skywalker travels and tours is a modern, purely Nigerian online travel company. Positioned as a brand that believes in "Creating Happy Travelers", we provide information, pricing, availability, and booking facility for domestic and international air travel, hotel bookings, business trips, holiday packages, and bus and railway reservations. We offer a host of travel services designed to make business and leisure travel easier. 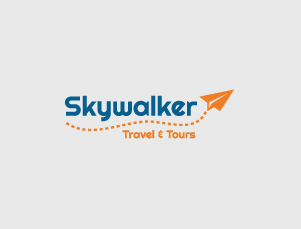 Skywalker Travel and tours specializes in providing quality tour and travel services for both international and domestic traveler, we believe in value for money & client satisfaction. Furthermore, Skywalker travels and tours provide a large number of options for any additional provision you may need during your trip. Our aim is to meet your expectations along with high quality and personalized services, reliability and flexibility, in accordance with the best rates. Our trained staff has extensive experience in the tourism industry and has attended numerous seminars in order to serve you the way you deserve. We excel in our passion to serve the traveler and we are happy to advise you on the best possible option that will make your trip more comfortable. We have established excellent working relationships with a huge network of suppliers around the world, whom we often visit in order to ensure the quality of their services. We take pride in our ability to offer tailor-made solutions for your every need and desire, and with our exceptional cost-saving policy and our highly qualified staff, we’ll take you there. Skywalkertravels.com, Copyright © 2017 - All rights reserved. Enter the emailll address associated with your account, and we'll email you a link to reset your password.